The Wine Server allows perfect, non-drip pouring every time. 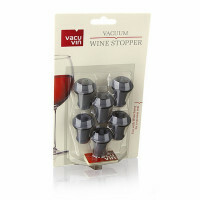 Its pouring surface is designed to prevent dripping and to return any excess wine back into the bottle. The Wine Server allows perfect, non-drip pouring every time. 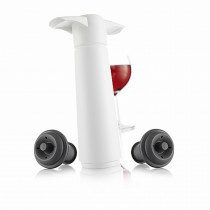 Its pouring surface is designed to prevent dripping and to return any excess wine back into the bottle. Pulling the long-stemmed button upwards opens the server, making it ready to pour. 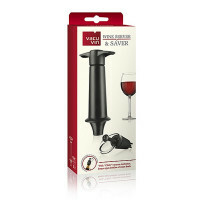 The rubber seal ensures a perfect fit in almost every cork and screw top bottle. 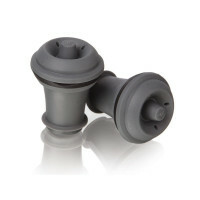 A gentle push on the button ensures the built-in stopper to seal the bottle airtight. 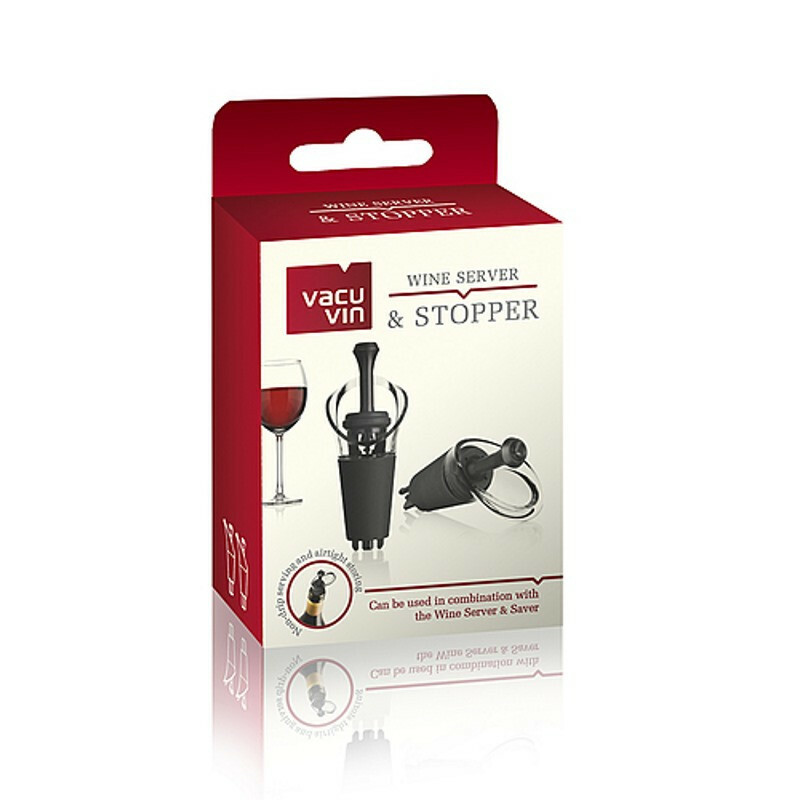 The Wine Server and Stopper can be used in combination with the Wine Server/Saver vacuum pump, slowing down the oxidation process which makes it possible to enjoy your wine again on a later date. 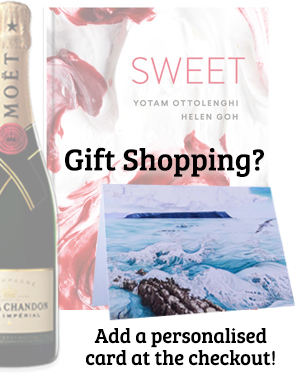 A smart and elegant solution to serve and preserve your favourite wines.